Lock in your Philips SHE2675BP/28 In-Ear Headset with BudLoks™ - Far End Gear™ Products for outdoor enthusiasts - earbuds, earphones, and earbud sport grips. Balanced sound or your mobile phone. Twin vents bring greater balance and harmony to your phone's music, while the integrated mic picks up your voice clearly. And with the headsets' soft ear buds you'll enjoy many hours of music and calls in comfort. The special shape and luxurious materials used for the ear cushions ensure a perfect fit for maximum comfort. They prevent audio leakage and enhance bass performance too. 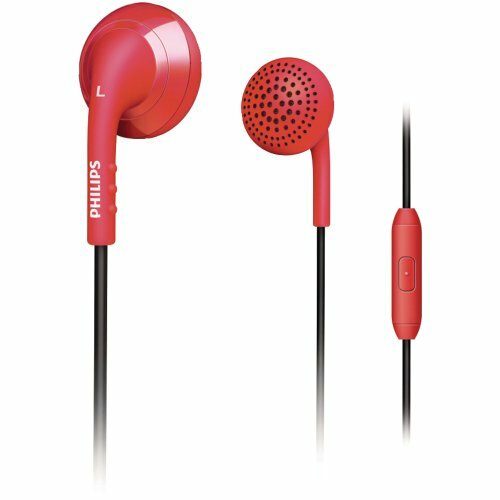 With the integrated microphone and call button you can use this headset for music as well as calls from your mobile phone. Enjoy handsfree calling, while easily accpeting and ending calls from your headset. Soft, flexible part protects the cable connection from damage that otherwise would occur due to repeated bending. 3.5mm stereo connector for Blackberry, HTC, iPhone, LG, Motorola and Palm. Extra 3.5mm stereo connector for Nokia, Sony Ericsson and Samsung.